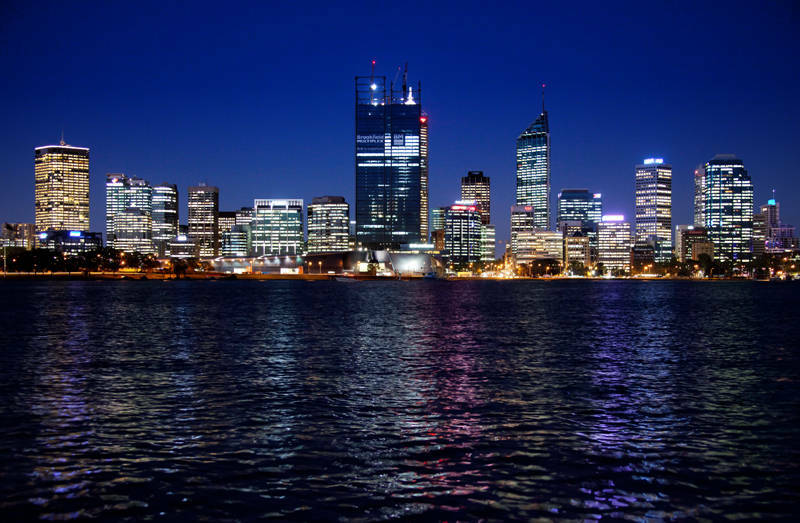 This shot of the Perth Skyline was taken at the end of our first day in Western Australia. The 30 hour journey to Australia via Singapore went fairly smoothly with the exception of Heathrow security who almost caused us to miss our first flight by holding us up when they discovered the metal in Karen’s leg and then swabbing my phone for explosives. It was raining when we arrived at 1am but it had all cleared by the following morning. At this point I would normally go into the all details of how this image was shot and processed however while we are travelling this Photoblog will be more of a Travel Journal like the Egypt Blog rather than A Photoshop tricks and tips study. If any regular readers wish to know how images were created please leave a comment and I will be more than happy to go into the details and the Photoshop layers used. After removing all the logos and trademarks from the building this image was accepted for Stock Photography at Shutterstock and is available for download here.